Listen to an audio review of this trip here. Immerse your family in the sights and sounds of scenic Central Europe. You'll discover the sound of music in Salzburg, Austria and journey to the Czech Republic where you'll make marionettes in Prague. Throughout your vacation, you'll explore medieval castles and storybook villages—all with the majestic Alps and imperial splendor as a backdrop. Experience private salt-mine and ice-cave adventures, then return to the lap of luxury in a resort in the Bavarian Alps. Journey to the birthplace of Mozart and see the sites of this magnificent Alpine town. Walk through the baroque Mirabell Gardens and see iconic destinations like Hellbrunn Castle—just beware of the trick fountains! Craft your very own marionette in this Prague workshop. Then, show off your skills with a private performance and backstage access in Vienna. Enjoy a private after-hours visit guided by a zoologist of the oldest zoo in Europe. Then, dine in style at a very special dinner event held in the Emperor's Pavillion. Learn about the history of this famed equestrian riding school located in Vienna's Hofburg Castle. You'll also go backstage for a private tour of the stables. Check in at the Prague Marriott Hotel Vítej! Your Adventure Guides welcome you to the lovely Prague Marriott Hotel. This centrally-located award-winning hotel sits in the heart of the vibrant city that is both Old World and modern. Meet up with your fellow Adventurers for a private reception and buffet dinner as your Adventure Guides set the stage for the international adventures that await you. After a hearty breakfast at the hotel, take to the streets of Prague on a privately guided tour of this magnificent city. You'll see such sites as St. Vitus Cathedral, Golden Lane, Wallenstein Garden, Charles Bridge and the medieval Astronomical Clock, which was installed in 1410 — and is still ticking. Explore the streets of Prague with your fellow Adventurers. Be sure to get some dining recommendations from your Adventure Guides. They always know the best places to grab a bite. Discover the art of marionette making at the Art Deco Marionette theater. Once you have created your marionette, you'll have the chance to practice your skills in preparation for a performance in Vienna. The city of Prague is at your disposal to explore as you please. Check out the Dancing House, Jindrisska Tower or Klementinum, one of Prague's most historic sights dating back to 1232. Enjoy a tour of the lovely gardens and then settle in for an entertaining dinner which includes traditional singing and dancing during your meal. Load up your bags for the trip to Berchtesgaden, but along the way you'll get a private tour with a local guide who will show you the hidden corners of the Czech Republic. Explore this quaint town and sample the local flavors. Be sure to get some dining recommendations from your Adventure Guides. They always know the best places to grab a bite. Arrive at the InterContinental Berchtesgaden, set in the Bavarian Alps, and enjoy a warm welcome with your fellow Adventurers. 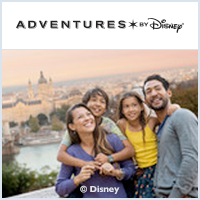 Adults can relax over a delicious meal and great conversation with fellow Adventurers while the Junior Adventures dine together and then watch a Disney movie. Head into the cool mountain interior for a privately guided tour of the Eishole Ice Cave. See the ethereal Ice Cathedral with its arches and turrets. Enjoy lunch at this restaurant with a view overlooking the mountains surrounding the ice cave. Take a tour of the historic 11th-century Hohenwerfen Castle; perched high up from the valley floor, the impressive structure presents an imposing presence to the region. 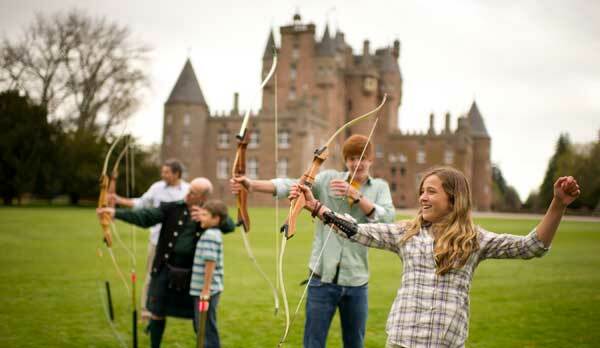 Engage in a special falconry demonstration at the castle's Falconry Centre. Get a close up look at the history of schnapps-making at this local distillery that has been family owned for generations. Then sample some local favorites at a Schnapps tasting. Junior Adventurers will enjoy an alternative, non-alcoholic tasting. Savor the local flavors of this quaint town. Be sure to get some dining recommendations from your Adventure Guides. They always know the best places to grab a bite. Or you can choose to enjoy a wonderful meal at one of the restaurants in the InterContinental Berchtesgaden. Take to the hills as you begin your privately guided "hop on, hop off" tour at Mirabell Gardens and finish at Hellbrunn Castle. Along the way you'll see the locations and inspirations from the classic movie. Plus, you'll make the hills come alive with the sound of your own music with a sing-along activity during the ride. Enjoy your lunch amid the scenic surroundings of the castle grounds. Walk the hallowed halls of this stunning Baroque castle that was built in 1613. You'll also stroll through the stunning castle grounds — but beware of the trick fountains designed to spray unsuspecting guests. Enjoy the sights and sounds of Salzburg with your family and fellow Adventurers. Experience the time-honored hospitality in this unique Salzburg restaurant that first opened its doors in 803 A.D. History meets modernity at this UNESCO World Heritage Site where the menu is as timeless as the restaurant itself. During your dinner you will be transported back in time with a private performance by a duo of Mozart violinists serenading you with the classical sounds of 18th-century Salzburg. Don your miners' overalls and head deep into the mysterious world of the Salzbergwerk Berchtesgaden Salt Mines where you'll glide on a raft over the glimmering salt lake. Head over to the village bakery and try your hand at pretzel-making—a tradition that dates back to the 5th century. As fun as it is to fold the pretzels, enjoy eating them afterwards! Join your fellow Adventurers for lunch overlooking the lake in the quaint town of Mondsee. Plunge into the lap of luxury as you enjoy old-world elegance along with first-class service and amenities at one of Vienna's most spectacular hotels. Discover the flavors of Vienna as you explore this wonderful city and all it offers. Be sure to get some dining recommendations from your Adventure Guides. They always know the best places to grab a bite. Waltz through the baroque world at its finest as you take a private tour of Austria's most visited destination and a UNESCO World Heritage site: Schonbrunn Palace. While adults tour the magnificent palace, Junior Adventurers will delight in a visit to it's unique children's museum. Learn the art of the strudel, one of Austria's most popular treats, and then enjoy a tasting along with coffee and hot chocolate. Engage in the age-old art of puppetry where you'll get backstage access for a private demonstration and show. Then it's your turn to perform, so be sure to bring the marionettes you made while in Prague. All of Vienna is at your disposal to explore. Check out the magnificent sites and find a special location to enjoy the local cuisine. Be sure to get some dining recommendations from your Adventure Guides. They always know the best places to grab a bite. Explore the Vienna Zoo, the oldest zoo in Europe, on an exclusive after-hours tour that takes you through this unforgettable setting where culture and nature blend. Visit this famed equestrian school, located in Vienna's Hofburg Castle. Then go backstage for a special tour of the horses and stables. Stroll through the streets of the Old Quarter of Vienna on a guided walking tour where you'll see some of the historic sights of this beautiful section of the city. Explore Vienna with your family and fellow Adventurers. Be sure to get some dining recommendations from your Adventure Guides. They always know the best places to grab a bite. Learn the grace and beauty of one of the oldest ballroom dances, dating back to the 18th century. Tuck in to a delicious meal at the oldest restaurant in Austria, dating back 300 years. You and your fellow Adventurers will dine in a private area and take a special tour of the cellar and its eclectic collection. Breakfast at the Hotel Bid your fellow adventurers and newfound friends a fond farewell and enjoy one last meal together in Vienna. Board pre-arranged transportation to the airport and say auf wiedersehen until you meet again!